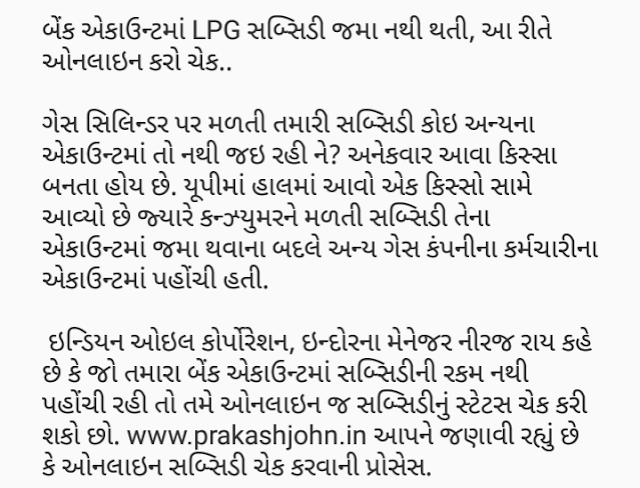 From the bank account of the LPG subsidy, the online Check .. I'm going to get your subsidy on gas cylinders do not have an account? Often such cases are occurring. Yupimam has now come when the consumer receives a case against the subsidies had to be deposited in his account rather than the other gas company employee's account. www.prakashjohn.in process to Check online subsidy is going to tell you. GOOD NEWS:- VIDHYASAHAYK TARIKE NA 5 VARSH NE SALANG GANI UCHHTAR PAGAR DHORAN MATE NI GANATARI KARVA BABAT LATEST PARIPATRA BY NIYAMAK KACHERI. WITH EXCEL FILE..
VIDHYASAHAYK TARIKE NA 5 VARSH NE SALANG GANI UCHHTAR PAGAR DHORAN MATE NI GANATARI KARVA MATENI EXCEL FILE DOWNLOAD. 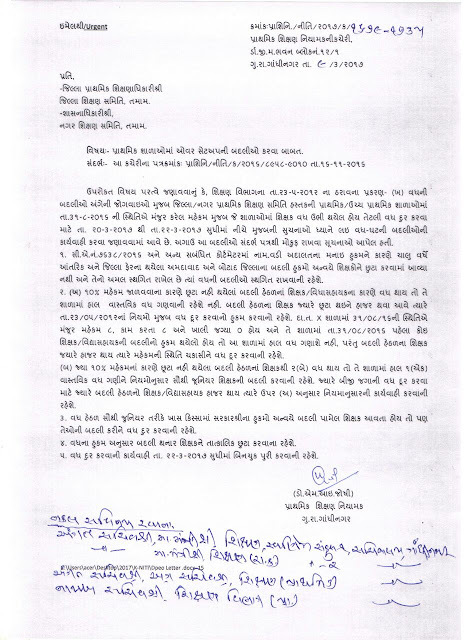 OVER SET-UP CAMP MOKUF RAKHAVA BABAT NIYAMAK NO LATEST PARIPATRA. 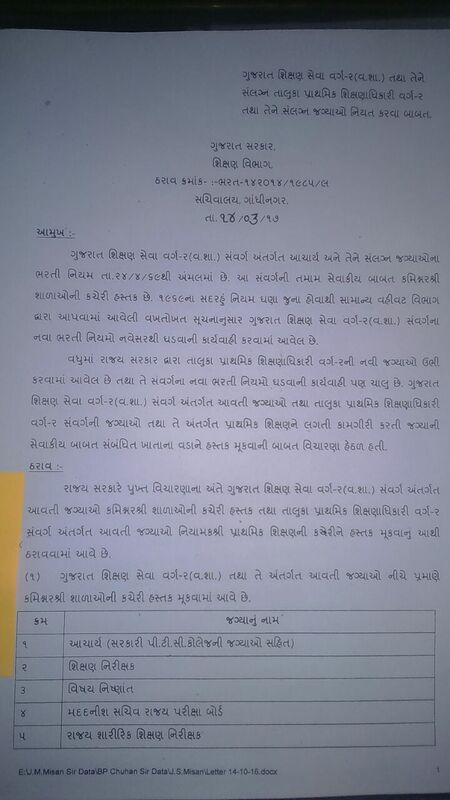 BREAKING NEWS:- OVER SET-UP CAMP MOKUF RAKHAVA BABAT NIYAMAK NO LATEST PARIPATRA. 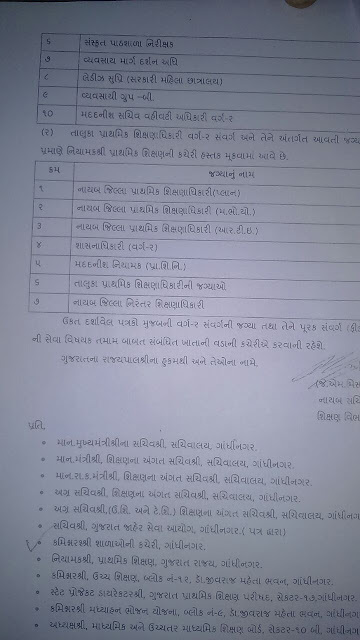 Gujarat Shikshan Seva varg 2 ane tene sanlagn Taluka Prathmik Shikshanadhikari varg 2 tatha tene sanlagn jagyao niyat karava babat 14/3/2017 no latest Paripatra. 6. 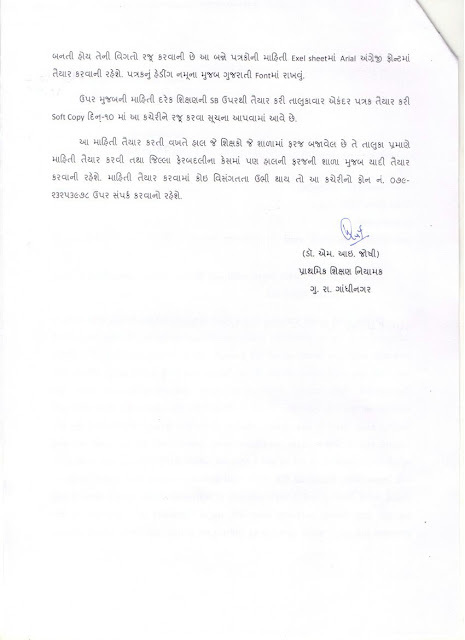 TALUKA PRATHMIK SHIKSHADHIKARI NI JAGYAO. 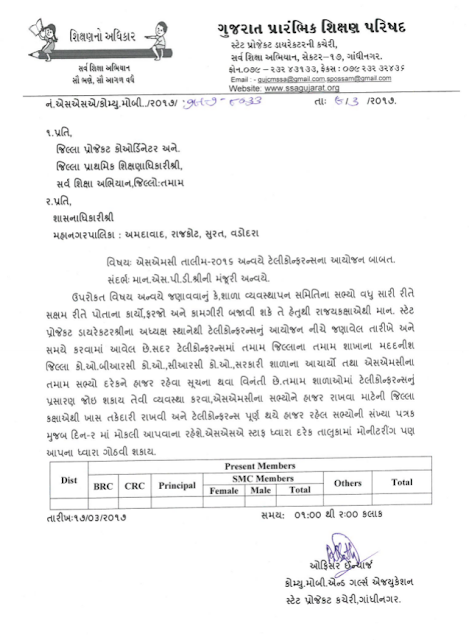 Big Breaking News :- BRC/CRC AND URC Exam Final Result Declared. 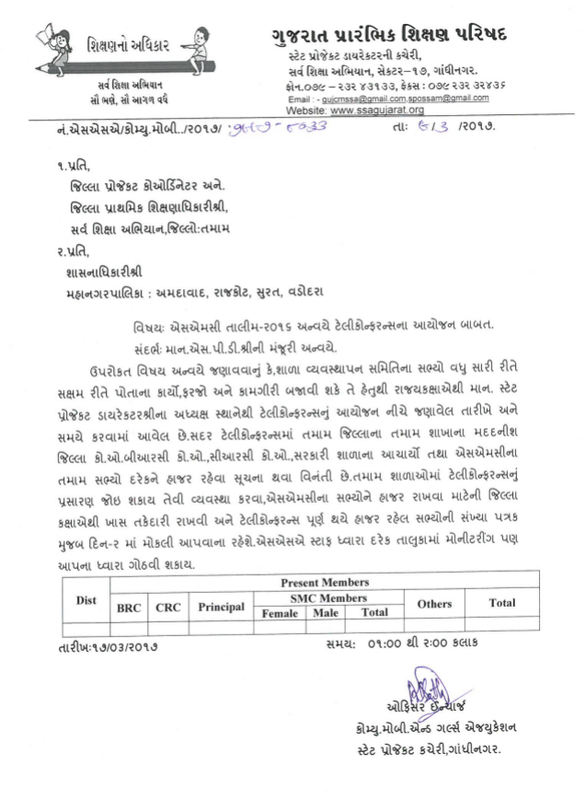 Crc/ Brc & Urc exam final result declared..
Gujarat Government Sarv Shiksha Abhiyaan Has Published Final Results Of BRC / URC And CRC cordinetor For more details check below given links. s.m.c. 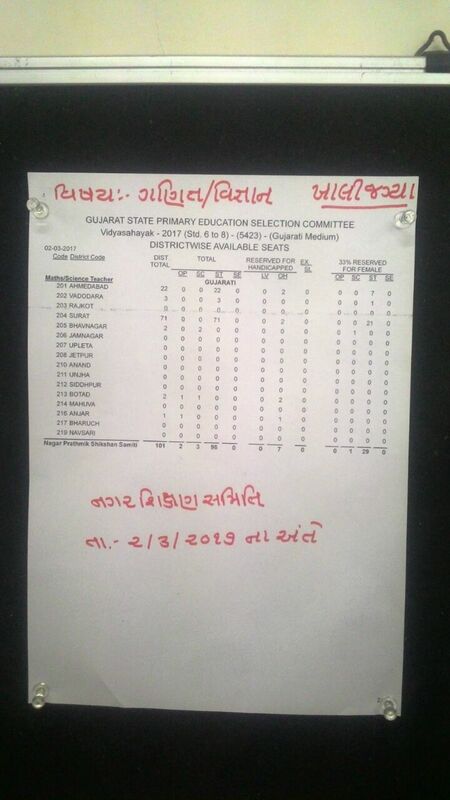 Talim Anvaye Teliconfarance Na Aayojan Karva Babat No Paripatra. 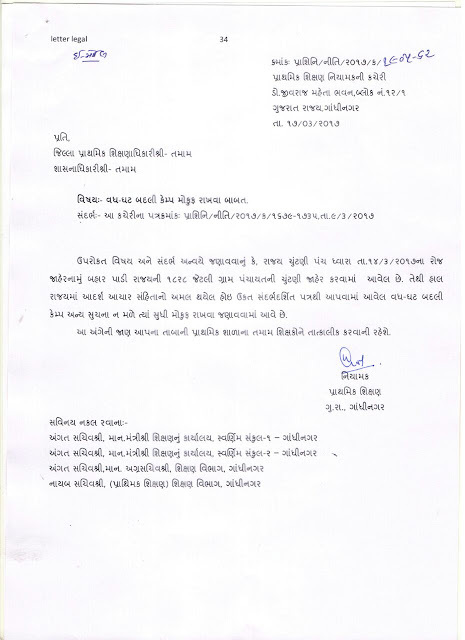 Prathmik Shalaoma Over Set-Up Ni Badlio Karva Babat No Aajno Niyamak Shri No Latest Paripatra..
Gujarat Public Service Commission has just released Advertisement No.101 to 105/201617 for Recruitment of Assistant Engineer, Inspector of Motor Vehicle and Other Posts on its official website at www.gpsc.gujarat.gov.in. 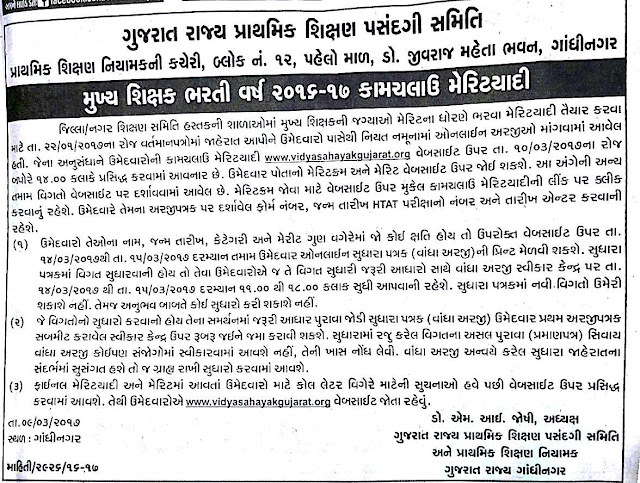 The candidates who wish to get Engineering Job in government sector, are advised to apply for GPSC AE Recruitment 2016. 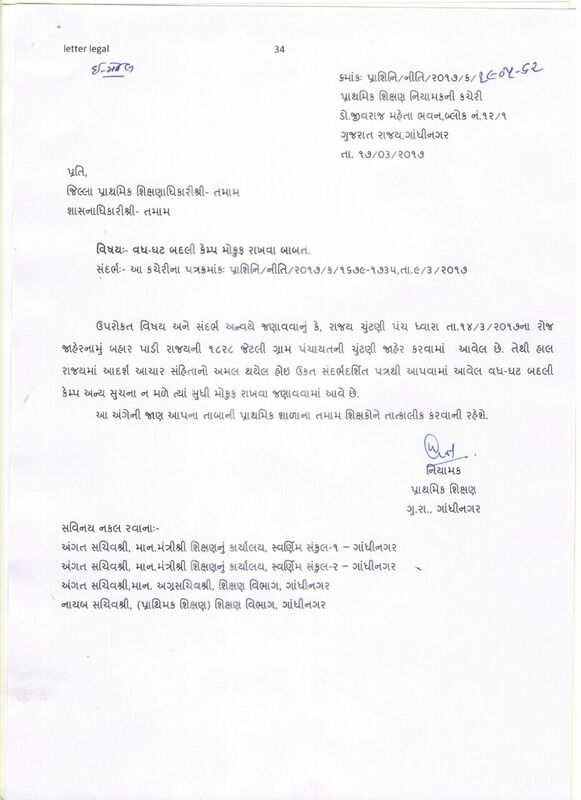 The Government of Gujarat wants to recruit 469 available posts of Assistant Engineer, Inspector of Motor Vehicle and Other Posts in government departments of Gujarat State in 2016-2017..
MUKHYA SHIKSHAK BHARTI 2016/17 KAMCHALAU MERIT YADI BABAT IMPORTANT NOTIFICATION. Htat Bharati Mate Darek Jilla Ni Jagya Ni Yadi. All Circulars of Districts And Niyamak kacheri Gandhinagar all Primary, Secondary and Higer Secondary Department. Education Informatics is a sub-field of informatics. The primary focus is on computer applications, systems and networks that support research in and delivery of education. Education informatics is based upon information science, computer science and education but particularly addresses the intersection of these broad areas. Note that it is distinct from Informatics Education, a term that relates more to the practice of teaching/learning about informatics, rather than the use of information science and technology in the support of teaching and learning. The term has been in widespread use since at latest. 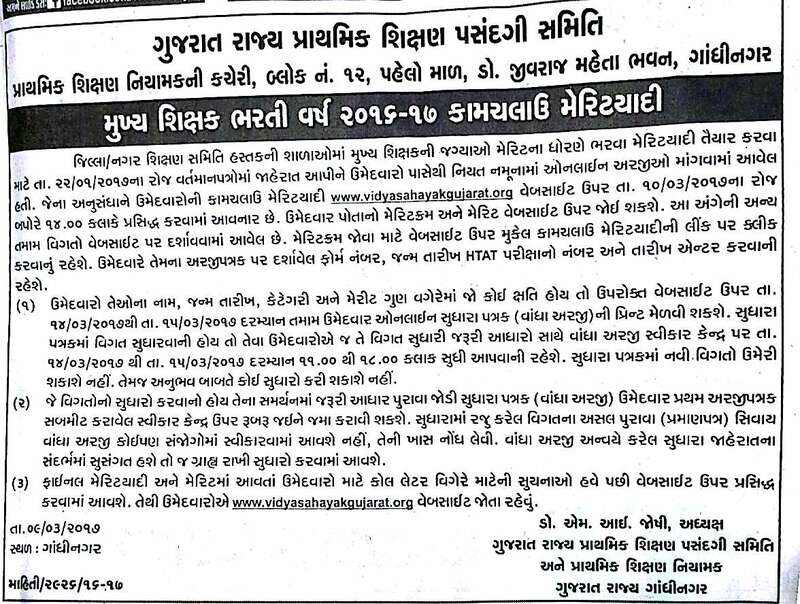 GOVERNMENT SECONDARY & HIGHER SECONDARY NEW MERIT LIST DECLARED. 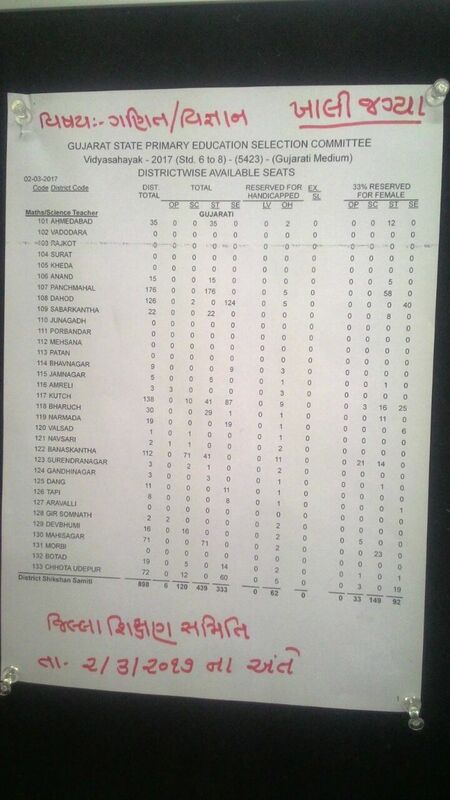 BLASTING BREAKING NEWS :- GOVERNMENT SECONDARY & HIGHER SECONDARY NEW MERIT LIST DECLARED. Reliance Jio is announcing several plans one after the other to woo its customers. The company is engaged in trying to woo its users through new offers every day. Recently, Geo started Prime Membership, after which Jio has now offered 'Buy One Get One' offer. 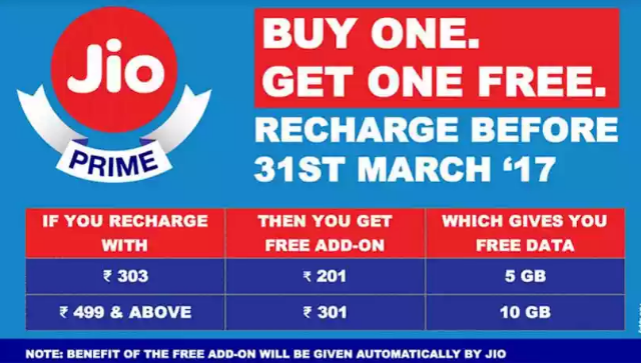 On March 31, Jio's 'Happy New Year' offer is ending, with whom Jio had launched Prime Merchandise to increase the offer. In the offer offered by Geo, Prime Members will receive data and many benefits. If Geo users take prime membership by paying 99 rupees, then this prime plan will be eligible to take advantage. With the help of this service, the company's customers will be able to avail of other facilities with 4G data in affordable prices. In order to continue the prime membership, users will be required to recharge at least Rs. 149 per 28 days in every 28 days. At the same time, the company has officially offered 'Buy One Get One' offer for two types of recharge. This offer was first seen on the account of Twitter user Sanjay Bafna. Let us know that this offer is for Geo Prime Members. If the customer who receives the Geo Prime subscription recharges Rs 303 then he will be given a Rs 201-per-add-on pack free from Geo. After the 201-over add-on pack, the customer will be given 5 GB and data with a validity of 28 days. At the same time, customers who recharged above Rs 499 and above will be given additional 10 GB data from Reliance Jio. The company says that the price of 10 GB data pack is Rs 301, which is giving us the customer free. This will be a booster plan, which costs 301 rupees. Its validity will also be 28 days. Booster Plan will do such work. If you do monthly recharge of 303 rupees, then the Geo Prime Member will be able to avail unlimited voice calls, 100 sms and 1 GB of data of the day. In this offer, customers will be able to avail the data with 128Kbps speed. Its speed will be automatically restored in Midnight. For example, if your 1GB speed decreases at 3 o'clock in the afternoon, booster plan will work in this case, with the help of which users will be able to access high speed internet by 12 o'clock in the night. The speed will be restored automatically at night and the booster plan will automatically deactivate. Launching Geo-Prime Subscription, Reliance Industries chairman Mukesh Ambani had said that the new service will reduce the cost of data and customers will get free Geo app services up to Rs 10,000. This service is for prepaid and postpaid customers. From March 1 until March 31, you can take Reliance Jio Prime Membership. From March 2018 until this membership you can take advantage of Happy New Year offer for less money. However, many people do not want the opportunity to change their old number. If you want to engage with a number of badalyavagara Geo jiomam they can be port number. Xiao was shown to follow the process steps for easy port kasmara care. Here are 5 steps to the port number you jiomam show this simple process. Reliance jiomam process is very easy to port to anyone. This is intended to be a message from her jiomam port number that you want, then it will be transferred to the No. 7 Working Days jiomam. The sand on the phone before going to write a message box 1900. Reply message will be a few minutes, the UPS will be given a code. Now your ID proof with the code (particularly the base card) and a passport size photo to go to the nearest Reliance Digital Store. (Do not even need to take the photo if the base card.) Give the photo to show your ID proof and store the code. After all phormaliti Reliance Jio will offer 4G SIM card and preview. Jasetyara the port your number after 7 days will benefit jiomam Happy New Year offer until 31 March. 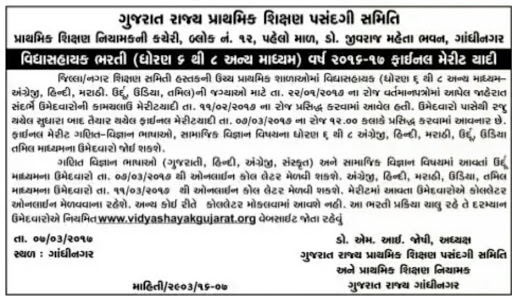 Vidhyasahayak Bharti 2017 Final Merit List vidyasahayakgujarat.org : Gujarat Vidyasahayak Bharti Merit List 2017 was announced Today. Candidates who are waiting for this Vidyasahayak Gujarat Merit List 2017 can now check their merit list from below mentioned link. 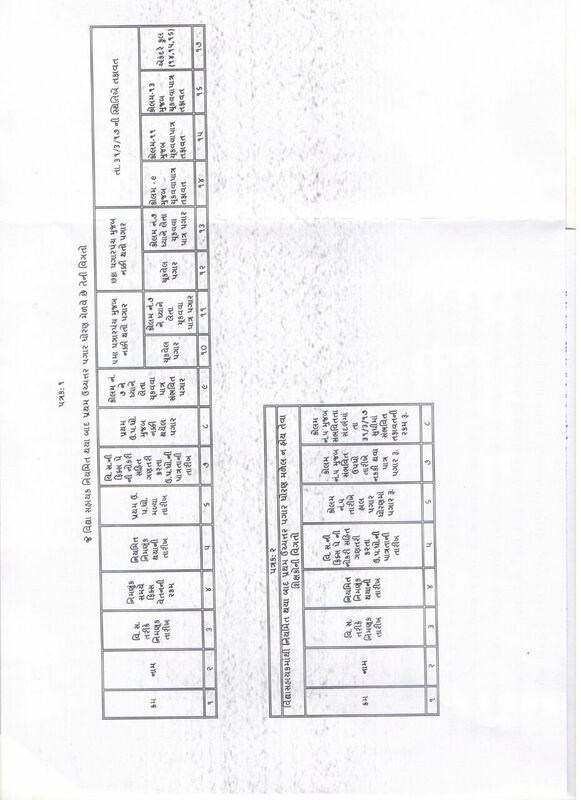 Here you can Download Today Crc Exam Huestions paper. VIDHYSAHAYAK BHARTI :- MATHS - SCIENCE SUBJECT THIRD ROUND DATE :- 02/03/2017 NA ANTE JILLA ANE NAGAR WISE & CATEGORY WISE KHALI JAGYAO NU OFFICIAL LIST. Fixed Pay Case ni next hearing date ane Supreme Court nu shu valan hoi shake che ? Read This News Report. 》RAJASTHAN NA CASE SATHE AAPNO CASE JOINT CHE JEMA HAVE PACHI NI DATE MA KADACH FINAL DISPOSAL PAN AVI SHAKE CHE . 》SARKARE JAHER KAREL LABHO NE SUPREME MANYA RAKHE CHE KE PACHI FIXED PAY PRATHA NABUD THAY CHE . 》RAJASTHAN NA CASE SATHE AAPNO CASE JOINT CHE ETLE 31 MARCH NA ROJ AAPNU HEARING CHE ANE KADACH AA LST DATE PAN HOI SHAKE CHE . 》SUPREME COURT MA GUJARAT GOVERMENT WARA PAN SHU JAWAB RAJU KARI SHAKAY TENA MATE NI TAIYRI SHARU KARI DIHDHI CHE . 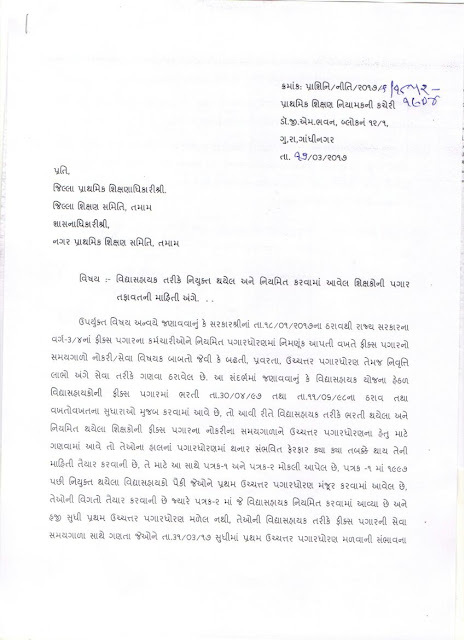 》HAAL GUJARAT GOVERNMENT WARA 2006 PACHHIN FIXED PAGAR DARO MATE LABHO JAHER KAREL CHE ..
We publish daily information about our job and Here you graduate jobs, engineer jobs, diploma candidate jobs, MBA jobs, law jobs and other various kinds of jobs can get different jobs.